Studying abroad is one of the ultimate ways to broaden one's cultural understanding of the world. A vital part of the journey often missed is the homestay experience. 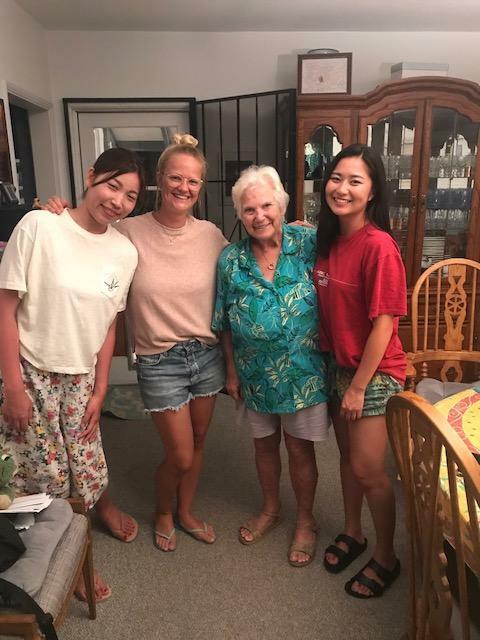 Judi, known as San Diego's favorite host mom shares her take on what it's like to welcome students from all over the world into her home. 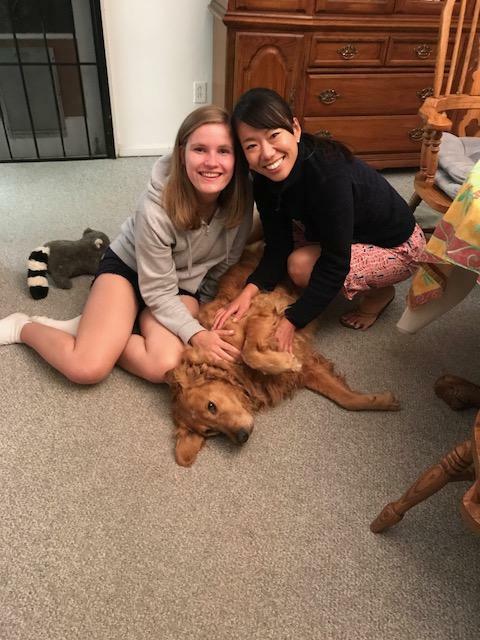 As you choose which accommodation type will fit your needs, check out why the homestay experience may be right for you! Five Hundred and Sixteen. Five Hundred and Sixteen students have graced my door since my husband and I began hosting students in 1992. We owned a small business and when the stock market fell our item, a “compulsive item”, was not selling the way it had prior to the failure. We decided that I would go back to work, and since he was retired with a small income, would do the things that “retired” folks do. Except, after a short time, he became very bored and found that weeds only grow on the weekends, not during the weekday. It was about that time that a friend of ours in Fresno told us the fun she was having hosting students and suggested that we look into doing the same. Bob was jazzed. Both of us were retired educators; we looked upon this as another way of “teaching”, and so we investigated and signed up with schools to host students. Bob also found out that his culinary skills were lacking, so while our students were in school he took cooking classes, and he made the meals Monday-Friday, and I took over on the weekends. What fun he had playing “tour guide.” He took our new students to the Cabrillo Monument to give an overview of San Diego. Many of the students had never seen an ocean; and to be able to see the bay also was mind-blowing for them. He took them to Mt. Soledad so they could get a different perspective of San Diego. And he went to Shelter Island, Harbor Island, and Old Town. Because the schools were so close to Little Italy, he did a “walking tour” with them, and stopped at some of our favorite restaurants for “a little refreshment.” Bob passed away in 2009 and I decided that since I was now retired, again, I would continue with the students. I still take them on the “tours”, show them where and how to catch public transportation, get them a “Compass card” and for those that want an American telephone number I go with them to get a sim card. The rewards for hosting these students in unmeasurable. I still hear from our very first student – Martin – and that young 20 year old when he stayed with us is now 48 years old! And has a son of his own. We are talking of having him come here to learn English! At Mother’s Day this year I received 222 “Happy Mother’s Day” greetings on Facebook, Instagram, and by mail. I try to answer each and every one of their messages, and sometimes 2-3 years goes by and a former student will write, call, and even visit. I always celebrate the student’s birthdays with a cake and a gift that represents San Diego. I always try to invite the neighbors in to meet the students so that they need to speak English to someone other than me. I invite those neighbors over to celebrate the birthdays. We go to plays, restaurants, farmers markets together so they have cultural experiences also. I try to have two students at a time, and the camaraderie between them is wonderful to watch. They may not be friends when they return to their own countries, but they are support for each other while they are here. One student that I had from Switzerland contacted those students from neighboring countries that went to school with him and had a “reunion.” He told me that 21 students showed up and they had a blast. And finally, I have a Golden Retriever. Many students have never been around large dogs; many are scared of him when they come into my house. The love that is developed for him is amazing. I feel that he is an integral part of my culture and environment, and I am so happy to be able to pass those feelings along to them. I do not see stopping hosting for a long time. I am not a young person; I have 18 grandchildren for three daughters. But I have many of the same feelings for these students as I have for my own kin. It is a great feeling, and I am proud to be able to be a host mother.